I purchased this case for myself. 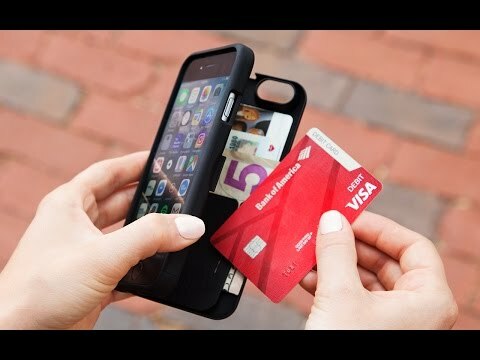 I have purchased and used many different "wallet" versions of a phone case and most did not have enough storage and/or were not sturdy enough. After a short while they looked terrible and/or broke. I am thrilled with this case! It is pretty enough for me and handsome enough for my husband! It is slim yet holds plenty of credit cards and cash. I wish I could have gotten it in the deep purple but do love the black. I will certainly purchase this again for my family and when I upgrade my phone.